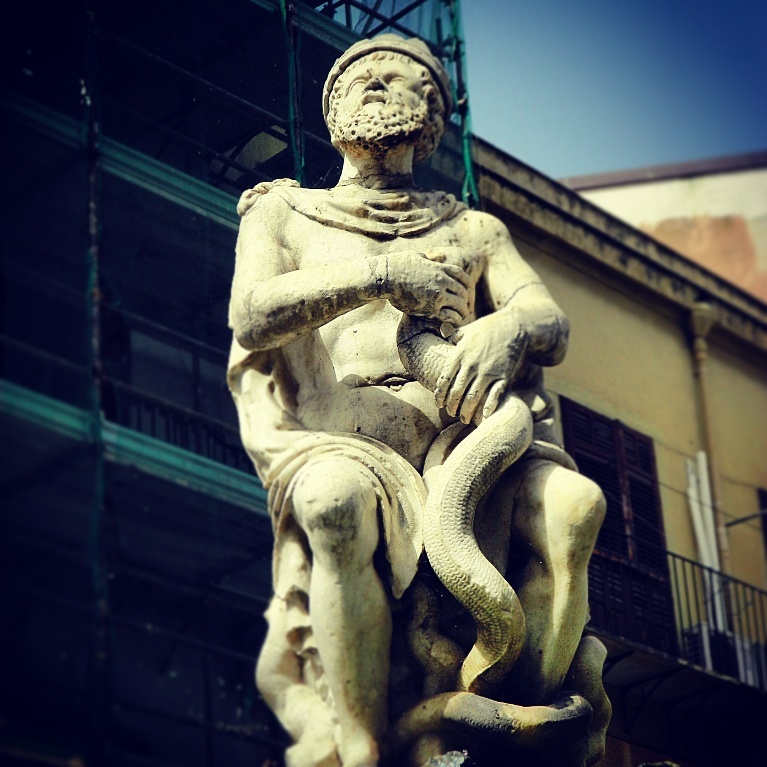 This 16th century statue in Palermo’s Piazza Revoluzione is one of eight representations of a crowned man with a snake feeding on his breast that can be found throughout Sicily’s capital city. It is The Genius of Palermo, an ancient icon–so ancient that the mythological pre-Roman origins are uncertain. Il Genio di Palermo is considered to be the secular protector of the city and its multicultural inhabitants. In the 19th century, it became the symbol of desired freedom from the Bourbon lords. I have never seen such an icon as this with the snake at the man’s breast. That is sooooooo weird. That’s all I can say. Why it’s called the Genius makes no sense to me at all. Dana, you are right on! It is very strange… and very old. It’s origins are a mystery! A total fascination!